The 11 brexiteer rebels who caused Wednesday’s night parliamentary mutiny are facing deselection after this week’s scandalous vote. Some have also revealed that they have been receiving facing death threats. The 11 former Remainers defied their party to vote in favor of former attorney general Dominic Grieve’s amendment, which calls for MPs to be given a vote on the final Brexit deal. 309 MPs voted for of the amendment, beating the 305 votes against. The vote marks Theresa May’s first Parliamentary defeat as Prime Minister, and a major win for the Remainers within the conservative party. By insisting MPs have a “meaningful vote” on the final deal, Tory turncoats have weakened the Prime Minister’s hand: anything she agrees to in Brussels could now be overturned by Parliament. Conservative MP for Mid Bedfordshire Nadine Dorries called for her turncoat colleagues to be deselected following Wednesday’s controversial vote. Dorries said the rebel MPs had “undermined the PM and devalued her impact in Brussels”. Polish member of the European Parliament (MEP) and chair of the European parliament’s constitutional affairs committee Danuta Hübner said the “meaningful vote” could pave the way for a hard Brexit. 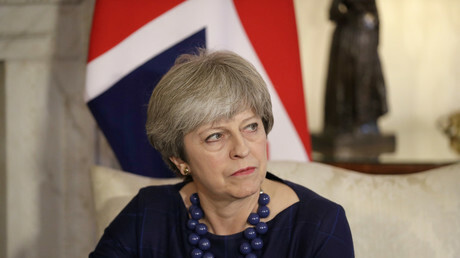 “Once it is finalized and it is signed by both parties, then any change to it means reopening negotiations, meaning we will not make it within the two years, meaning there is a hard Brexit,” she said. Some are taking their frustrations even further with the 11 who voted May down: A number, including former attorney general Grieve, have received death threats. Grieve told the Guardian that he has reported the threats to the police. “The thing which continues to cause me concern is not that people will disagree vigorously with the positions we take, but that the atmosphere is so febrile that it leads firstly to people not listening to what the debate is about, secondly, suggests that any questions around Brexit amount to an intention to sabotage and, thirdly, result in some people expressing themselves in terms that, at times, include death threats,” he said. Tory MP Antoinette Sandbach, who also rebelled with her vote, has also received threats. One even went as far to warn “you’ll get what’s coming to you”. Former Cabinet minister Nicky Morgan has also made a complaint to parliamentary authorities about a threat she has received.